LAS VEGAS, Sporting Alert — Action in the 2017 NBA Las Vegas Summer League tips off on Friday night, July 7, with six games that will broadcast and stream all across the ESPN Network, including ESPN3. The opening game in the Las Vegas Summer League gets going at 6 p.m. with the Toronto Raptors taking on the New Orleans Pelicans at Cox Pavilion. Live streaming coverage of this game is available on ESPN3, as well as on the WatchESPN app. Shortly after the Raptors v Pelicans tip-off, the Milwaukee Bucks and the Cleveland Cavaliers squads will take the court at 6:30 p.m. for a contest that will broadcast nationally on ESPN2 and stream live on WatchESPN. The Brooklyn Nets and the Atlanta Hawks battle will stream live on ESPN3 and WatchESPN and this game will begin at 8:00 p.m. Meanwhile, at 8:30 at the Thomas & Mack Center, the Los Angeles Lakers, with the talented Lonzo Ball, and the Los Angeles Clippers will face-off live on ESPN and WatchESPN. When these two teams take the court on Friday, it will be the first time since 2014 the L.A. Clippers will be appearing in the NBA Summer League. The likes of James Bell, Jawun Evans, Isaiah Hicks, Brice Johnson and Sindarius Thornwell will be hoping to position themselves for places on the Clippers’ NBA squad at the end of the summer. 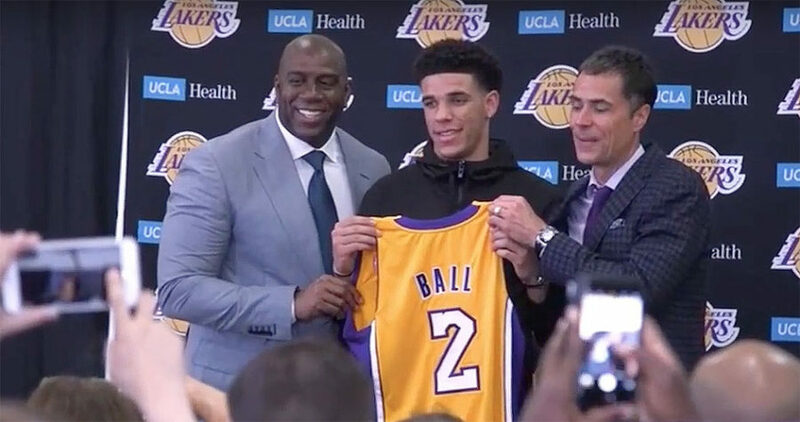 Lonzo Ball, who was drafted second overall two weeks ago, will make his debut and he gets his first opportunity to show what he can do for his new team. The likes of Brandon Ingram, Ivica Zubac and Josh Hart will also feature for the Lakers.